It’s four years since we established our business listing website – www.glos.info - and last year we came to the conclusion that it had grown to the point where we could no longer run it from our home. 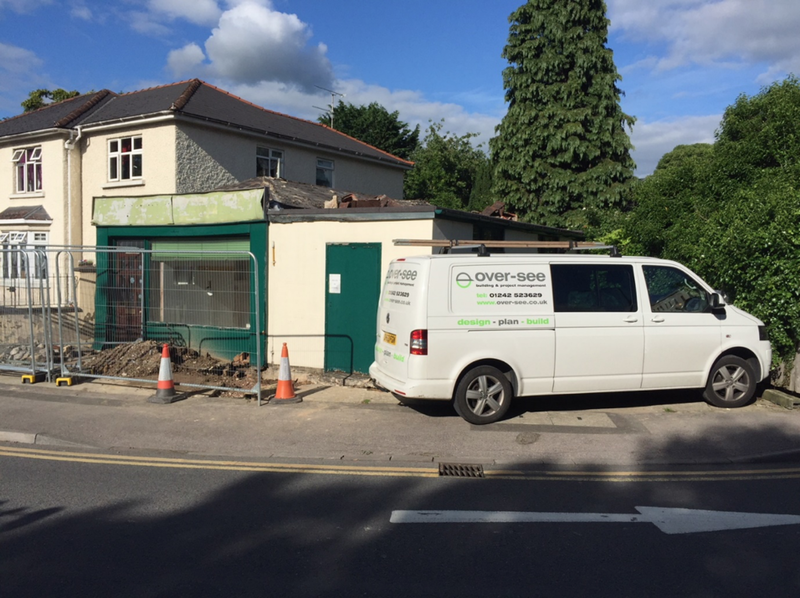 We made the decision to have our own offices and found a building of the right size in an ideal, high profile location on a roundabout on a main road into Cheltenham… but it needed completely gutting and refurbishing. However, being able to start from scratch gave us the opportunity to tailor it to our needs, and we gained planning permission to create a single storey office with approximately over 70 square metres of working space, together with a toilet and storage space. We contacted a number of people – local builders and project management companies – to see if they could handle the job on a tight time frame and budget. Of the ones that responded, Guy was able to start quickly; and, rather than the one sheet of paper that one supplier came back with, Guy presented a 60-page document, setting out precisely how he would go about the job, containing everything we knew would be needed. That gave us complete confidence that he really knew what he was doing and we appointed him to manage the project from start to finish. We had a target time of opening in the New Year - and in the event, it was handed over on the 22 December, well in time, despite the fact that we added a few tweaks to the specification along the way. We were 100% happy with the quality of the work and the helpfulness and efficiency of the whole team, as well as the way Guy set about the project and handled everything – including dealing with the Building Inspections. He regularly went above and beyond what was asked of him, his attention to detail was excellent and there was never anything for us to worry about. We would definitely recommend him – and we often do! Challenges: the main challenges were the size of the site and its location. Firstly the footprint of the new building almost occupied the site and secondly, its location between two residential properties and being on the side of a busy roundabout meant that site space during the build was very limited so careful consideration was given to delivery of materials, excavation and skip removal, avoiding peak times to minimise disruption to road and pedestrian users. We were 100% happy with the quality of the work and the helpfulness and efficiency of the whole team, as well as the way Guy set about the project and handled everything – including dealing with the Building Inspections. He regularly went above and beyond what was asked of him, his attention to detail was excellent and there was never anything for us to worry about.